Note the Harrington jacket worn back center and bottom right. Image via some message board for an AP US History outside of Albany. 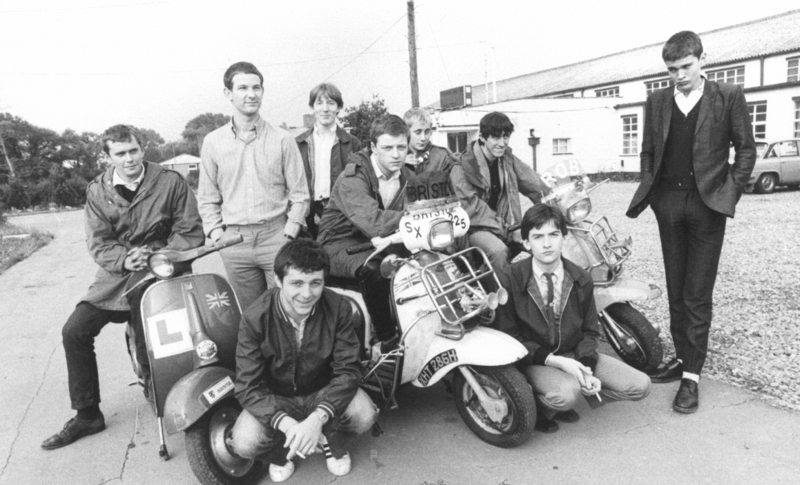 Mod youth culture wearing Baracuta-style jackets. Also prevelent are fishtail parkas and white socks with black shoes.